She has done B.Sc, M.Sc and B.Ed. She is working in Etah as a Pvt. Teacher. her per month salary is 5.000. she is very simple living, open mind girl, do believe in simplicity and creative in nature. Bringing smile in everyone's face is her moral duty. her hate lies. she can be a best friend 4r her partner, she is simple & fun loving, talkative.enjoy reading, writing, travelling, listening music. I am working Central Govt, my wife is a house wife. her four brothers, one eldest brother is married and settled with family in delhi. his own house in delhi. we belong to Yadav / Bodosia family and our own house in Etah. We are searching for a well educated, working, well settled, well behave and Delhi/NCR / Sikohabad / Firozabad / Mainpuri profiles. Her highest degree-M.Sc(09-11),Agricultre Biotechnology,Andhra University,Visakhpatnam, Graduation- Biotechnology,Biochemistry,Human Genetics(06-09),visakhpatnam, Schooling- Xth,C.B.S.E.,M.G.M.H.S.School,Bokaro Steel City(2002), Xllth- C.B.S.E. 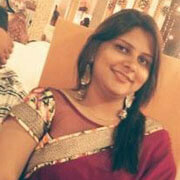 Board,M.G.M.H.S.School,Bokaro Steel City(2004).\r\nCurrently she pursuing Ph.d at BIT MESRA, RANCHI. she is a fun loving girl with respect for her family values. looking a simple guy should be caring,mature and importantly, who Jovial in nature and respect emotions of her and her family. Civil Services (IAS/ IFS/ IPS/ IRS), Defence, Doctor, Engineer - Non IT, Govt. Services, Scientist /5 to10 LPA, Hindu: Yadav/Yadava / Bangalore, Faridabad, Ghaziabad, Greater Noida, Gurgaon, Kolkata, New Delhi, Noida, Patna, Sahibabad Matches.!!!#!!! She has done MA (Economics), MBA (Finance & Marketing), ITI ( Computer) and ITI ( Hindi Steno). After completion of my MBA, I worked with Epic research pvt Ltd but left the job. Now preparing for govt sectors. I am caring, loving, energetic, kind, optimistic, passionate girl, are a few of many attributes appreciated by my friends and family. I belong to a well educated family with good social values. Our family is well educated and well settled having combination of both traditional and modern values. Father got retired form Railway and mother is housewife. 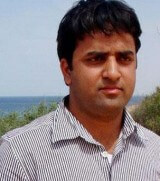 One elder brother (married) is working as senior testing engineer in Microsoft. My bhabhi is housewife . One younger sister completed her MBA (HR & MKTG) and preparing for govt sectors. We are Searching for a person who is independent and calm by nature. He should be a good human being with a positive attitude towards life. He should be well educated and settled person with a modern outlook. 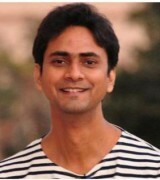 Honest, loving, caring and understanding person who believes in life long relationship and commitment. !!!#!!! She has done BA & B.Ed. She is a Teacher. her earning is 2 to 3 LPA. A girl from Educated and progressive family having singificant Past confident present moving towards Pleasant Future. Belong from Joint family Family Member Include Mother Father and uncle Aunt and brothers and sisters. 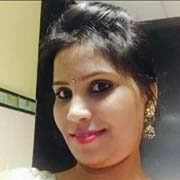 Two Sister two of them are married .Ekta Yadav Married to PAnkaj YAdav(Executive Enng in UP JAL NEGAM).Vneeta YADAV MArried to RAJESH YADAV MANAGER in PSU BANK posted in kolkata. one brother unmarried working as CEO OF commodity trading company. !!!#!!! She is simple,jovial, very understanding, respect elders , religious. She has done schooling from a reputed Kendriya Vidyalaya affiliated to CBSE .she has good academic record, BE Computer + MBA. She is working in Nationalized bank. her father working in ONGC. looking forward for the partner/family where everybody understand and give respect to each other.!!!#!!! 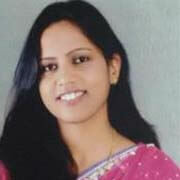 She has done BBA in Bangalore and She is working for Deutsche bank, Bangalore. she is very simple girl. her Dad is working for Indian army and mom is a home maker. her brother has done MBA from London and has been working for Bank of America and Bhabi is a dentist in London where both have been settled. elder sister is married to a software professional and both are settled in Delhi. 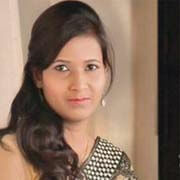 looking a suitable match for her marriage, a well qualified / Hindu: Yadav/Yadava / Bangalore, Pune/ Chinchwad Matches. !!!#!!! She is from an upper middle class family. The most important thing in her life is religious believes, moral values & respect for elders. She is modern thinker but also believe in good values given by our ancestors. 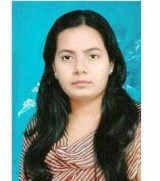 She is an excellent cook & knows to cook a variety of cuisines, listening to music & watching latest movies. We originally belong to Muzaffarpur (Bihar) but residing in Bangalore. Our family comes from Army background, Father is retired Army Officer and mother is homemaker. Elder brother and sister are settled in London. We do not entertain DOWRY SEEKERS, those who are favouring, please excuse us. She completed Bachelor Of Business Management with a specialization in Finance from Bangalore University She is working with Deutsche Bank in Bangalore. She is clever, intelligent and smart. She has the capacity to fulfill all her family duties and achieve her professional goals at the same time.!!!#!!! My daughter belongs to a higher middle class family with traditional values and moderate thinking.....believes in making home rather than working in office...loves traveling....fun loving and sometimes emotional too...wants a loving caring and a good personality boy...\r\nMy self (ex-navy) currently working as a businessman in meerut.... wants to marry my daughter in a good family..... Son is married... Wife is housewife doing bba final year...... dosnt want to do job... .belives in making home and spending quality time with family. !!!#!!! Completed my B.E. in Computer Science from a reputed college in Bangalore. Thereafter I went abroad to pursue my Master's in Computer Science and completed the same from North Carolina State University, USA. I work at a global leader for creating networking solutions. This is a very well reputed company in the top 10 companies to work for in the world. !!!#!!! 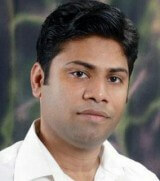 He has done MBA and He is working in New Delhi a Project Manager - IT. Earning 25 - 35 LPA. We are a reputed family from Darbhanga, Bihar and now based in Delhi since last seven to eight years .The family comprises of , Doctors and Engineers and Civil Servants. We are a close knit family where we stand to support each other. The family relishes every opportunity to be together as job compulsions has made us spread out. We are a liberal family where every member is respected. looking a ndependent Working girl who is ambitious and carries a positive outlook towards life. Someone who believes in sharing responsibilities, is family oriented, respects everyone. Someone who is caring, understanding and values relationships. !!!#!!! I have completed B.Tech Mechanical, BBA Marketing and HR & After completed my MBA . got employed by the top construction Company in Tripoli as their International Procurement Manager . However, after serving there for 2 years, I moved on to join one of the biggest MNC in power sector i.e. M/s ALSTOM, Middle East. 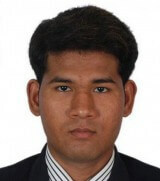 I am looking a B.Arch, B.E/B.Tech, M.Arch, M.E/M.Tech, M.Pharma, M.S. 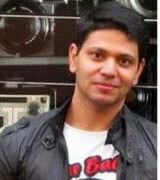 (Engineering), B.IT, MCA/PGDCA, CA, CFA, CS, ICWA, MBA/PGDM, BAMS, BDS, M.D., M.S. (Medicine), MBBS, BL/LLB, ML/LLM / Australia, India, United Arab Emirates, United Kingdom, United States, Indonesia, Mauritius, Nepal, Singapore, South Africa Matches.!!!#!!! 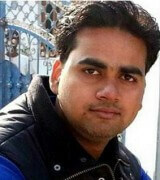 I completed B.Tech, College: SRMCEM Lucknow. High school and intermediate(CBSE Board) from LPS, Lucknow. Have 7 years experience in IT Sector. Currently working in Top MNC Company in Noida. Family settled in Lucknow. Father is retired govt officer UP Police and mother is homemaker. I have 1 elder brother and 2 elder sister all of them are married. I am the youngest member in family. I am very simple, smart, honest, caring and confident. Looking for beautiful, understanding, easy adoptable girl. who can respect each other families and careers. She would be loving, caring and would respect to each other. Hindu: Ahir, Hindu: Yadav/Yadava / Allahabad, Faizabad, Gonda, Gorakhpur, Jaunpur, Kanpur, Lucknow, Mirzapur, Varanasi, Others Matches.!!!#!!! 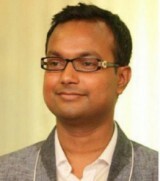 I have done MBA, presently working in Private Sector as a Executive Manager. I am fun loving, kind, affectinate, hard working and positive thinking towards of life. I likes listening music, dancing, tracking, photography and long distance travelling. We are searching for a Well Educated, Working/Not-working, Fair, Slim, good looking and Delhi/NCR profiles for matrimonial alliance. I have done B.SC in Nautical Technology. Holding Master's certificate in professional education and qualified to be a teacher in Maritime Education. 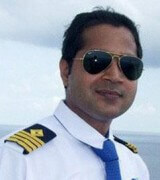 I hold designation of Captain (Master) in Merchant Navy. I am an adaptable , considerate and loving person. My work involves travelling abroad for about 1-2 months and get holidays for about the same time. I have been an athlete in the past and a topper in the school. I teach in Maritime Institutes during holidays. I like to spend time with family and friends and love to take part in group activities. Father is retired from Indian Navy and mother is house-maker. Both are simple and loving by nature. Looking a Australia, India, United Kingdom Matches. !!!#!!! 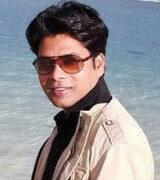 I m handsome, loyal, descent, stable & ambitious guy with pleasing personality and caring nature. i did my MBA from University of pune and presently working with "Roca" Basically i belong to Patna, Bihar. working with Leading Global Spanish Brand "Roca" as ASM Nasik. looking a B.E/B.Tech, B.Pharma, M.Pharma, M.S. (Engineering), B.IT, BCA, MCA/PGDCA, B.Com, CA, CFA, CS, ICWA, M.Com, BBA, BHM, MBA/PGDM, BL/LLB, ML/LLM, B.A, B.Ed, B.Sc, M.A, M.Ed, M.Sc, M.Phil, Ph. D / Ahmedabad, Anand, Asansol, Begusarai, Bhilai, Bihar Sharif, Bokaro, Daman, Gaya, Giridih, Hajipur, Hazaribagh, Kolkata, Munger, Muzaffarpur, Nashik/ Nasik, Navsari, Nawada, Patna, Pune/ Chinchwad, Purnia, Ranchi, Saharsa, Samastipur , Surat, Valsad, Vapi. !!!#!!! We are a family of 2 2. 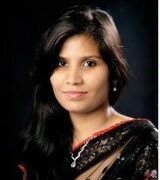 My daughter who is younger to son is married in a business family. 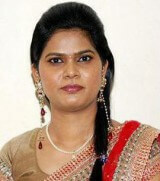 She has graduated in Information Technology and holds MBA degree from a renowned institution. Prior to marriage she was working as Astt. Manager in Standard Chartered Bank. My son is B.E. (Electronics&Telecommunications) from Mumbai University and MS(Embedded Systems) from UK. My son is working with a renowned MNC pioneering & largest in the field of engineering and automotive in Banglore and was in Germany for 8-9 months in recent past.Our ancestral origin is from Varanasi, UP but for the last 28 yrs.we are settled in Ghaziabad U P. I am an alumnus of BITS Pilani and have retired as a senior class-1 officer of Govt. I have one brother and three sisters(all of them yonger to me) are settled in Varanasi.My son is a boy of cool temperament with focus on professional activities. Apart from this, he loves gym, playing guitar, reading and taking part in various sports.!!!#!!! I live a simple life full of fun. I enjoy watching movies, traveling, music, going with friends etc. I am friendly in nature. 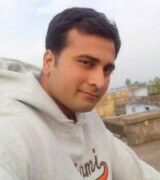 I am living with my family in Delhi for last eight years. I wish for a life partner, friendly in nature. Family : We are native of Munger, Bihar. Father is Retd. Accounts Officer-I, HFC, Unit. Mother is homemaker. 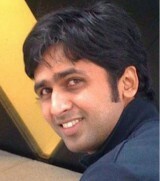 I have one brother, completed MSW from TISS, Mumbai and currently working with Ozone pharmaceuticals. My sister is married to Dr. Sanoj Raj (Cardiologist-AIIMS, Delhi) and working as TGT teacher in Semi-Govt school. Brother in law family is involved in business of real estate & social welfare. Our well family is well settled in terms of finance, education and social status.!!!#!!! It is every person’s dream to get hold of the soul mate, but it is immensely tough to find out one. In case you have logged in to our Yadav Matrimony site, you will know that it is not that tough anymore. Our yadav matrimonial site is way ahead of the other matrimonial sites in terms of the advanced features. We stand out in the matchmaking process, starting from providing detailed information on to-be yadav grooms and brides. Register to our Yadav Matrimony website and find out a to-be yadav bride or groom that perfectly matches your community culture setup.